It’s almost impossible to find good men’s tights, myprotein have nailed these. Material - soft and comfortable. Sizing - I’m 6’0”; 30” waist and 72kgs and have both medium and small. I prefer the small as the waist is not so high. 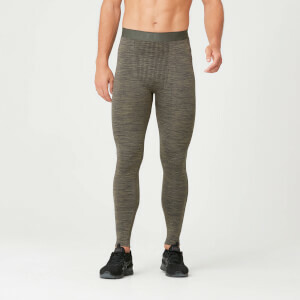 Waistband - very comfortable - would be great to have a wider band, similar to the women’s tights. Colours - FINALLY not plain black tights for guys!!! They look and feel great and are at a good price point. However I feel they're made of people with regular sized legs! If you have bigger legs from all the squats you do, you may want to go up one or two sizes.